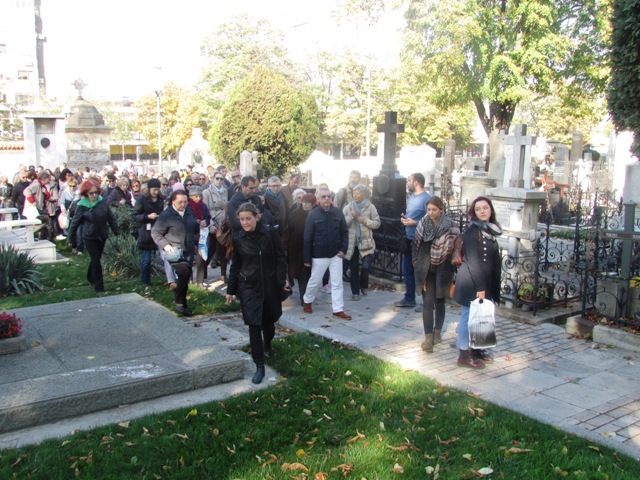 The New Cemetery in Belgrade welcomed 108 visitors on 5 November 2017. 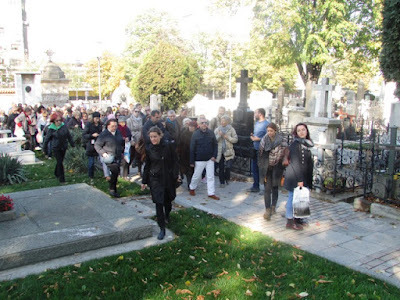 Our free themed walk named Serbian Beautiful Minds was organized upon request and after an increasing interest of our citizens for another free guided walk after three successfully organized cemetery tours within The European Days of Cultural Heritage in October. We have so much to be proud of as our hour-and-a-half planned exploration of Belgrade's oldest urban planned cemetery extended and almost doubled. 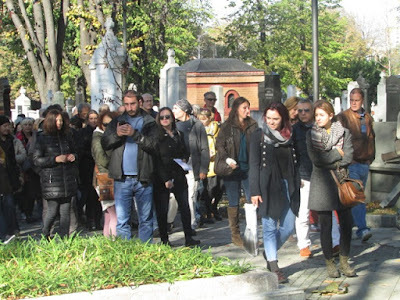 Our guided adventure offered a glimpse into the evolution of death and burial practices in our area as our visitors enjoyed strolling through a labyrinth of tombs from the past and present enjoying one of the city’s most alluring parks. The inspiring guiding provided visitors an unforgettable experience of discovering the hidden beauties of the New Cemetery and of reviving memories on academic figures who have left an unforgettable trace in the rich and turbulent history of Belgrade contributing to its richness, diversity, cultural identity and the unique authentic spirit. 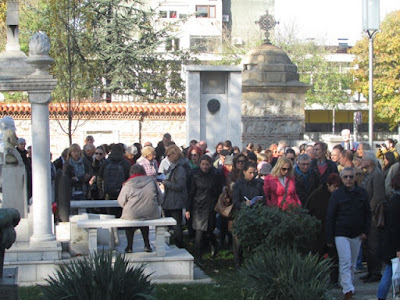 The management of Public Communal Company Funeral Services of the City of Belgrade would like to extend gratitude to the visitors for continuing interest in heritage at cemeteries. 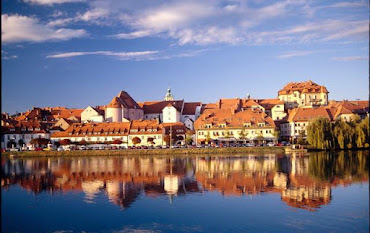 We’ve made great strides to create inviting programs and we’ll remain focused on delivering even better programs to promote the highly important values of this authentic urban area of Belgrade.